Dedicated to the preservation of homes. In an effort to define our organization deeper than our mission and vision statements, Solid Rock Housing Support has developed and put forth these values as a framework for our operations and a testimony to the identity we strive to exemplify. Each of these values holds both personal and collective importance to our staff and board, and seek to express the traditions our organization keeps near. We believe God is the foundation of all wisdom and knowledge. All gifts, talents and abilities come from God. Working together with others who support common values and vision to achieve shared goals. We are passionate about people and their future. We are intensely focused on serving the community and helping homeowners achieve a firm foundation for their life climb. Through the conduct of our organization and through our partnerships we aim to inspire. An inspirational environment is intellectually stimulating and challenging. It contributes to growth and development. We want to inspire each other. 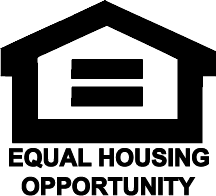 Solid Rock Housing Support was first known as Muskegon County Habitat for Humanity and began in 1985 when a group of volunteers decided to devote their time toward affordable housing in their community. For three decades, Muskegon County Habitat for Humanity made a lasting impact through affordable housing programs that offered low-income families stability through homeownership. Today, building new homes is not the most affordable path to homeownership and to further maintain the integrity and principles upon which the organization was originally founded, Solid Rock Housing Support was launched in 2019. Through a “grassroots” approach, low-to-moderate income families will receive services tailored to their situational needs, and stakeholders will know that their generosity will be strictly used for Muskegon County residents.